You are viewing the elizabeth wein tag archive. For the past three years, sixteen-year-old Jordanian-American Tal has been writing to indie rock star Julian Oliver, convinced that he is her father. Tal’s evidence: a take-me-back letter from Julian to Tal’s mom, Lena; the fact that Lena attended college in Julian’s small hometown and facial similarities between Julian and Tal. 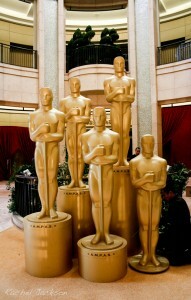 We are in the midst of Hollywood’s award show season with what seems to be an endless variety of shows every weekend. Each show bringing new red carpet styles, Youtube-able acceptance speeches and a new list of what films to watch. In the spirit of this flurry of film festivities and movie lists, we thought a readalikes post would be the best way for us at the Hub to partake in all of this fun. So in preparation for the quintessential award show, the Oscars, we’ve come up with a list of a YA readalikes for some of this year’s most talked about films – The Academy Awards Best Picture Nominees. Special thanks goes to Hannah Gomez, Jennifer Rummel, Erin Daly, Tara Kehoe, Sharon Rawlins, Jessica Lind and Wendy Daughdrill for helping to create these booklists. 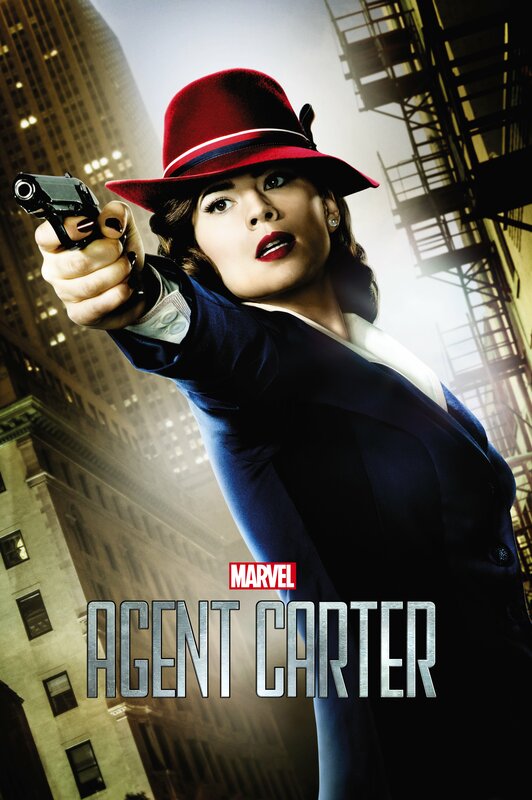 I’m a huge fan of the Marvel Universe, so I’m really excited to learn more about Agent Carter in the mini-series that premiers tonight. Here are some books I imagine might be on her nightstand should the occasion arise when she’s in need of a good read. They are all about feisty heroines, just like herself. After her father lost his leg at Pearl Harbor, the Andersons had to move. Now he’s a private investigator. 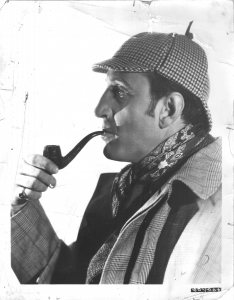 His daughter, Iris, stumbles across his latest case and realizes that she could be of some help. Secretly, she attempts to gather clues on her own. A British spy plane crashes over Nazi territory in France leaving two girls in very grave danger. From dystopian futures, to political protest, to legal disputes, YA literature is full of stories about fighting the rules and even laws. This post rounds up some of the best examples of teens winning these battles in YA literature across genres and time periods. Find a book that will inspire you to stand up for your beliefs. Many dystopian novels are at their core about teens fighting unjust governments. From The Giver by Lois Lowry to Divergent by Veronica Roth (both of which happen to have been made into movies this year), these stories often center around teens who discover the dark side of their society and decide that they are willing to risk it all to fight for their beliefs and for justice. 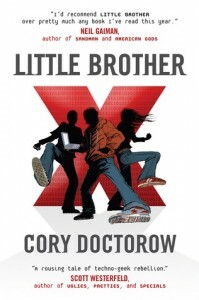 Little Brother by Cory Doctorow (2009 Best Books for Young Adults) – Set in a near future where a terrorist attack prompts an increase in government surveillance, both this book and its sequel, Homeland, show teens fighting back against the government and standing up for their rights. Teens who are interested in hacking will particularly enjoy this one since the main character is a hacker who uses his skills to take down those more powerful than he is. 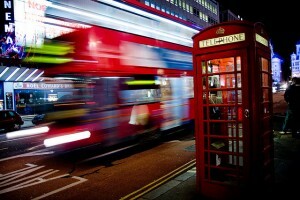 London bus by E01. CC BY-SA 2.0. Great Britain has always been a popular setting in all types and genres of literature. While I have read many books set there over the years, I never really thought about exactly how many books I enjoy are set in Great Britain until I started planning a trip to England and Scotland. But as I did start reflecting on some of my favorites, I realized how integral the British setting is to many great YA books across multiple genres. Whether you are an Anglophile looking for a new read, or are simply interested in reading books set there before planning your own trip, this list offers great British settings for fans of all genres. As a follow-up to Hannah GÃ³mez’s post #DiversityatALA about the current movement to be vocal about the need for more diversity in YA literature (#weneeddiversebooks), and Kelly Dickinson’s post featuring LGBTQ titles, I’m here to list some upcoming YA books that contain non-white, non-heterosexual, non-cisgendered or differently-abled characters that you should be on the lookout for. If you are attending the ALA Annual Conference this weekend in Vegas, ask the publishers about ARCs for many of these. Not all of them will be available as ARCs because some aren’t being published until 2015, but publishers’ reps should still be able give you the scoop on them. To start, I’m including a few recent notable books that you probably know about and a few that aren’t as obvious because the reviews might not have mentioned their diverse content, or you can’t tell from their jacket flaps. Freakboy by Kristin Elizabeth Clark (2014 Top Ten Best Fiction for Young Adults) is a novel about a transgendered boy while a strong pick for a nonfiction book about transgendered teens is Susan Kuklin’s Beyond Magenta: Transgender Teens Speak Out. I wasn’t aware that the main character Chevron “Chevie” is descended from the Shawnee Native American tribe in Eoin Colfer’s Warp: Book 1 the Reluctant Assassin until I started reading it. The second book in the series, Hangman’s Revolution is coming out today. Park in Eleanor & Park by Rainbow Rowell (2014 Printz Honor book) is half-Korean. In Stick by Andrew Smith the main character â€œStickâ€ is differently-abled because he was born without an ear & his older brother is gay. Chasing Shadows by Swati Avashi has a main character of Indian descent and there’s a lot about Hindu mythology in the book. Padma Venkatraman’s A Time to Dance is about a classical Indian dance prodigy whose life seems to be over after she becomes a below-the knee amputee. Erin Bow’s Sorrow’s Knot is a fantasy flavored by Native American cultures and Dark Metropolis by Jaclyn Dolamore features a lesbian character. Girl From the Well by Rin Chupeco (Sourcebooks, August 2014) is a ghost story about Okiko, whose spirit has wandered the world for centuries delivering punishment to monsters who hurt children, but when she meets teenaged Tark, she tries to free him from the demon that invaded him. Blind by Rachel DeWoskin (Penguin, August 2014) A 15-year-old teen girl loses her eyesight the summer before high school after a firecracker misfires into a crowd. As you probably know, the television reboot of the My Little Pony franchise (Friendship Is Magic) has managed to find an older audience than the elementary school-aged girls one would have expected. As a regular viewer of the show and frequent YA reader, I thought it would be fun to take a look at what titles the ponies would read in their free time. One thing I really like about the show is that it has a strong pro-female message. The show presents female characters who routinely solve problems by conducting research, reaching out to friends, and finding strength within themselves. In addition to encountering magical Big Bads, the ponies encounter real world problems such as bullying, low self-esteem, over-committing, and being too proud to ask for help. Because of this theme, I have selected books with female protagonists for all of the characters. 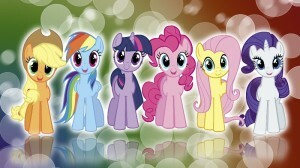 Today, I am focusing on three of the main six ponies: Twilight Sparkle, Rainbow Dash, and Rarity. When Friendship Is Magic began, Twilight Sparkle was sent to Ponyville to learn the value of having friends. She was the best student studying under the Princess, but she missing a social component in her education. Twilight lives in a tree-house library, surrounded by books and often encourages research when faced with trouble. However, Twilight is also a unicorn and, therefore, magical. She must find balance between magic, research, and friendship to ultimate solve her problems. 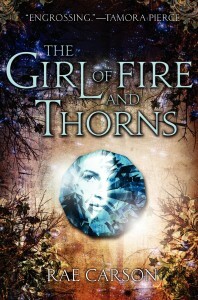 I think that Twilight Sparkle would enjoy The Girl of Fire and Thorns by Rae Carson (2012 Morris Award Finalist, 2012 Top Ten Best Fiction for Young Adults) which is the story of Elisa, a princess and the Chosen One. Married off to a king whose people need her to save them, Elisa lives in a world of magic. She must fight to live long enough to save the people who need her, while avoiding those who hunt her for her power. Twilight has recently become a princess herself and has been forced to save all of Equestria on more than one occasion.